VIDEO DEMO: Tap the SUPPORT link to see it in action! 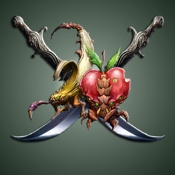 Your challenge is to cut as much zombie fruits as you can with your best swords. If you slash multiple fruits in one move you’ll be awarded with extra points. Don’t let them fall… end their zombie life right away !